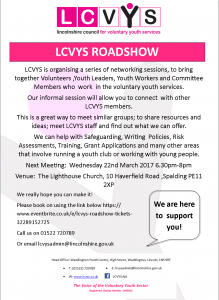 LCVYS is organising a series of networking sessions, to bring together Volunteers, Youth Leaders, Youth Workers and Committee Members who work in the voluntary youth services. Our informal session will allow you to connect with other LCVYS members. 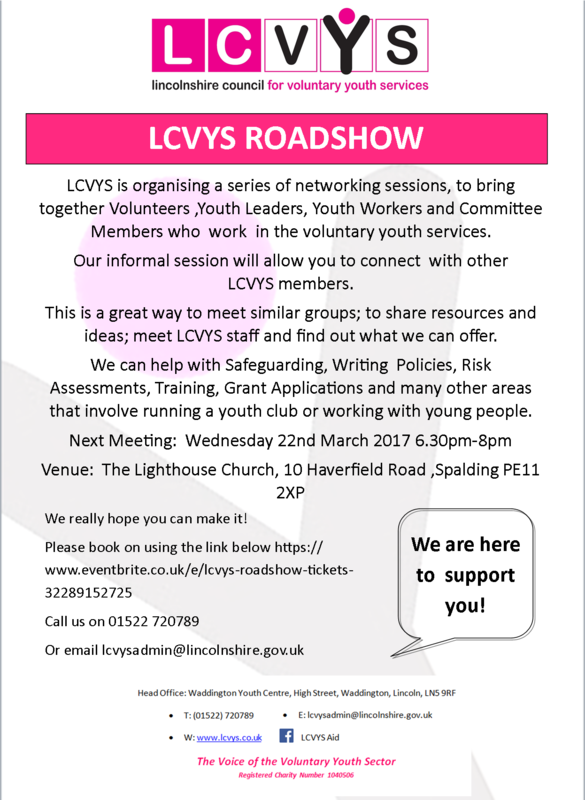 This is a great way to meet similar groups; to share resources and ideas; meet LCVYS staff and find out what we can offer. We can help with Safeguarding, Writing Policies, Risk Assessments, Training, Grant Applications and many other areas that involve running a youth club or working with young people. Posted on February 23, 2017 at 2:46 pm.